The creation of too many VMs and the continued existence of unused VMs plague modern IT infrastructure. 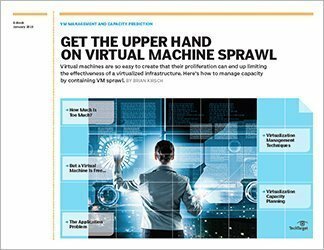 This three-part guide looks at the ongoing battle against virtual machine sprawl, with a focus on strategies and tools for tracking VM lifecycles. Servers can be virtualized so easily, a reality that is both a blessing and a curse. Unneeded VMs waste an organization’s resources and can create licensing complications. To combat these inefficiencies, IT teams should put specific controls in place and adopt strategies that prevent VM sprawl. 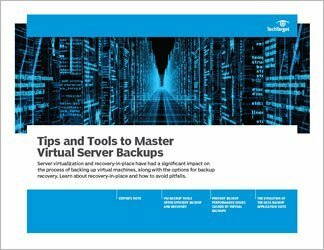 This guide emphasizes the importance of business policies that require users to justify the need for and duration of a VM. 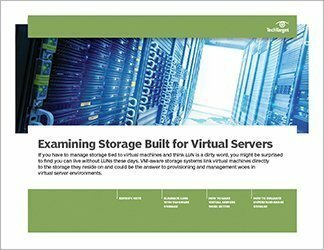 Without reasonable controls in place, VMs will proliferate and, over time, diminish the effectiveness of a virtualized infrastructure. While many organizations have adopted sound practices for deploying virtual machines, they have not succeeded in effectively managing these virtualized environments. As a result, they are confronting server sprawl and losing the full benefit of their virtualization investments. Products exist to address this issue; some are from major virtualization vendors and others from third-party vendors. 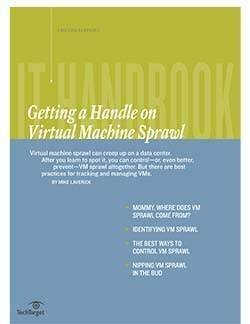 Combined with firm policies, these products can assist admins in managing VM sprawl, if not stopping it altogether.